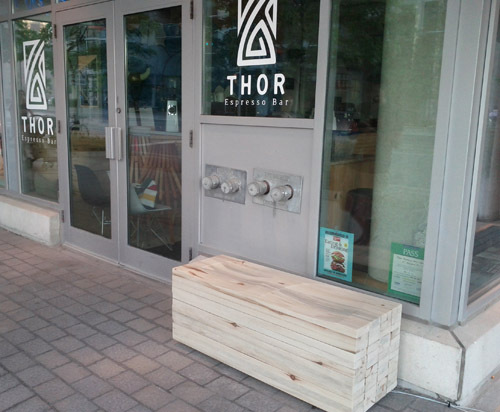 While waiting for the patio license to go through at Thor we were asked to create a bench to sit outside the front of the shop. 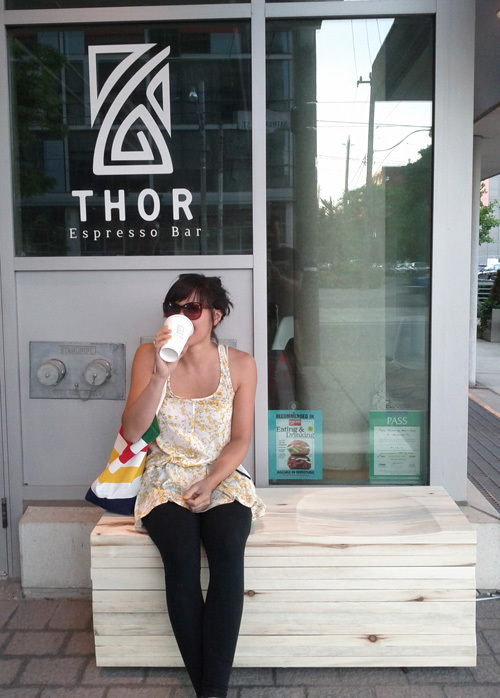 We completed the bench on the weekend and delivered it last night! 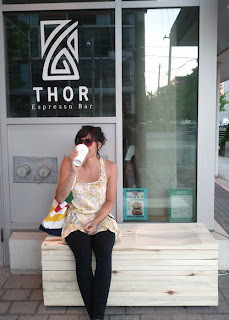 The bench was designed to be consistent with their interior design and furniture. Their bar and tables are laminated strips of reclaimed wood (similar to nicer 2X4s), so we decided to create a solid laminated wood block. We then routed two of the same seat profiles that we are using in the patio furniture we have designed for them. It is made of the same poplar that was used in the other patio furniture, and is actually hollow to minimize material use. We think that the other side of the doors could use a single seat to make the bench look less lonely, but that will have to wait for now.